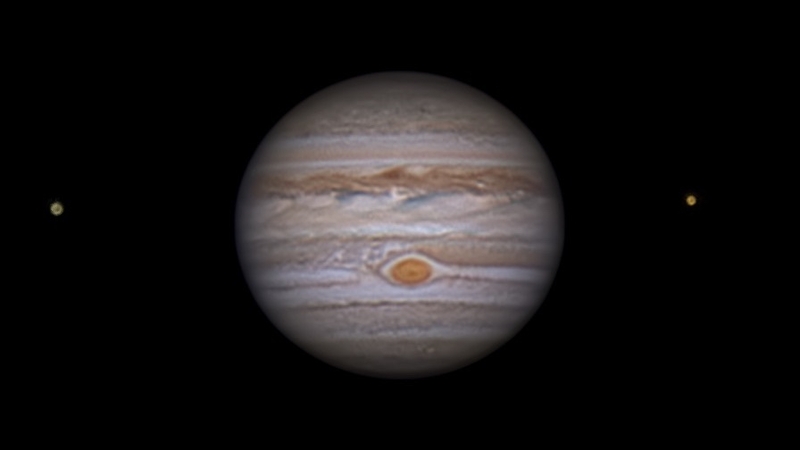 Jupiter captured on 9th May 2018, Jupiter opposition using a Celestron 8" SCT, the NexStar 8SE, all data captured using the Skyris 618C CCD. 20% of the best frames were stacked, de-rotated and processed. Total number of frames used in the final image stack was was 16800.